The UK Independence Party (Ukip) is the most significant new force in British politics for a generation. Under the leadership of Nigel Farage, the party has enjoyed a remarkable rise, winning the 2014 European Parliament elections as well as two parliamentary by-elections, and attracting mainstream defectors to achieve major party status. By the time of the 2015 general election, Farage and Ukip stood on the threshold of becoming a major force at Westminster. This account is a must-read for anyone interested in the inside story of Ukip's quest to change British politics during one of the most unpredictable and dramatic elections in recent history. Based on unprecedented access to the party and its key players, the book pulls back the curtain on one of the most intriguing campaigns in living memory. 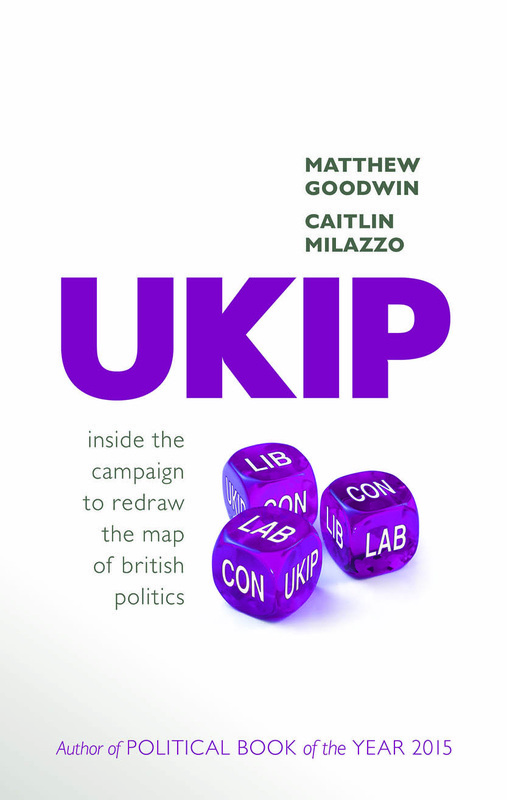 It includes behind the scenes observations from the campaign trail and more than one hundred interviews - with leading Ukip insiders such as Nigel Farage, Douglas Carswell, and Mark Reckless, as well as major donors, strategists, and figures from across the political landscape as they grappled with Ukip's rise. Matthew Goodwin and Caitlin Milazzo reveal what really happened during the 2015 election campaign and in the by-elections and defections which preceded it, providing detailed accounts of the critical moments that shaped both the election itself and British politics more widely. The book also makes extensive use of British Election Study data from over five decades to answer important questions about the rise of Ukip and what it signifies. Who voted for Ukip and why? How are political loyalties in Britain changing over time? What are the deeper currents that have made Ukip's rise possible and will continue to shape its future? And what does the party's campaign for power reveal about the current evolution of British politics and society? UKIP takes readers inside the campaign, telling for the first time the exciting inside story of a new party attempting to redraw the map of British politics.